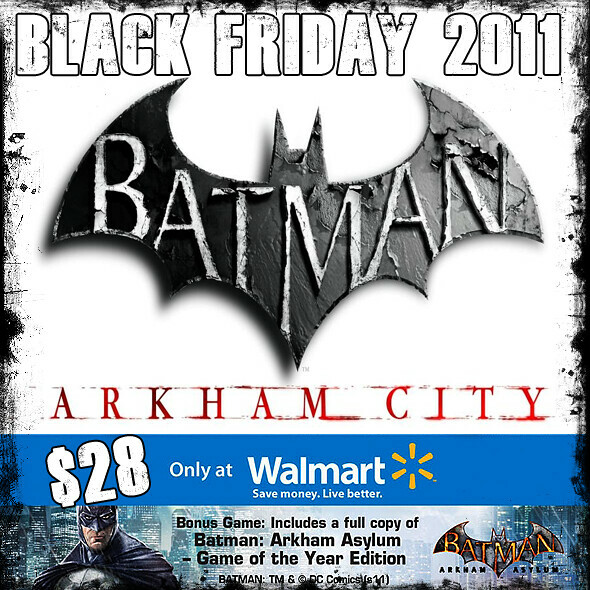 If you haven’t already pulled the trigger on Batman: Arkham City, it may be in your best interest to brave the Walmart horde on Black Friday (actually a majority of the sales start Thanksgiving day at 10:00 p.m.) as both the PS3 and Xbox 360 versions of the game will be $28. As an added bonus I’ve noticed that the copies of Arkham City I’ve seen at Walmart have come bundled with a free copy of Batman: Arkham Asylum – Game of the Year Edition. This is a helluva deal for those wanting to jump into the series with both feet and for those of us that already have Asylum; we can always re-gift it. Previous postAn Amityville Horror Baseball Card?